I started working part-time from home when my youngest was just a few months old. While I’ve enjoyed working from home, at times, balancing my kids’ needs, the household needs, and my work responsibilities has been a challenge. 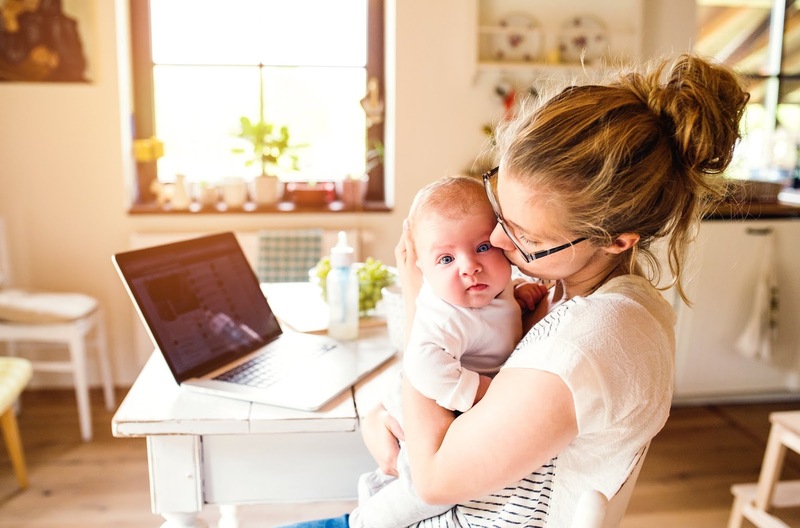 If you’re new to working at home while also tending to your children, or if you’d like to have a smoother system for working from home with the kids, you may want to consider taking the course, Balancing Diapers and Deadlines by Lisa Tanner, a work at home mom who also homeschools her eight kids. The name of the course is a bit misleading because the content is relevant whether you have toddlers or teens. I find that as my kids become older, they require more of my time than when they were younger and napped, so the advice in this course is relevant to any parent who juggles working from home and raising children. . .of any age. Each unit contains approximately five to eight lessons. This book contains equal parts home management techniques such as how to get your kids to pitch in with the chores and how to put meal planning on autopilot with an annual meal plan as well as business management suggestions such as how to grow your business, how to find free time, and how to work outside the typical “after the kids go to bed or when they nap” that many parents try to use. Each lesson has the actual lesson material and then action plans so you can put the lesson into action in your own life. While this course is a fairly quick read, implementing the lessons will take time and dedication, but by doing so, your life should run much more smoothly. I loved that this course opened me up to strategies I had not considered before such as working during the day while the kids are around and giving each child in the family one day to be in charge and make decisions, limiting the number of decisions the working parent has to make. The course itself is simply text; I’m a visual person, so I would have loved to have seen a video component to the course. It would also be fun if Tanner had a Facebook group for the course so that people could find one another and engage and share how the ideas in the book are working for them. However, those are minor suggestions on my end; overall, the course is helpful. If you’re looking for ways to more smoothly juggle working from home and raising a family, or even if you just have a big family and are looking for home management techniques, you’ll likely find value in this course. Interested in taking this course? Find out more and sign up here!